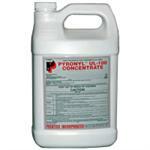 Dilute 1/2 gallon of Pyronyl 303 in 30 gallons of water or another mixture amount at 2 to 1 to make a .05% solution. 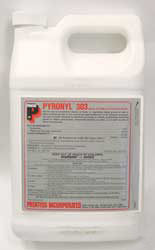 Pyronyl is very stable in Mosquito misting tanks and reservoirs. 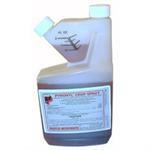 This pyrethrum won't separate, sludge, or harm plants and will Burn off quickly. For use on plants growing "just for looks" or for climate modification and being grown in interior plantscapes, ornamental gardens or parks, golf courses or lawns and grounds.